Florida law currently provides a number of ways to help you distribute your assets upon death without the need for formal probate. For example, you can open a joint checking account with your spouse or child, which ensures that the surviving account holder automatically inherits all of the funds (unless you provide otherwise). Alternatively, you can designate an account as “payable on death,” meaning that ownership passes to a named beneficiary, who otherwise has no rights to the money while you are still alive. SB 892 would add a new section to the Florida Statutes. Specifically, it provides that a bank or other financial institution may pay the balance of a deceased person’s account to a “surviving successor” without the need for “any court proceedings, order, or judgment authorizing the payment.” In other words, the surviving successor would not need to open a Florida probate estate and obtain judicial appointment as the deceased account holder’s personal representative in order to access the funds contained in the account. This legislation, however, would only apply to accounts where the outstanding balance is less than $10,000. And the definition of “surviving successor” is limited to certain family members. If the decedent was married at the time of his or her death, the surviving spouse would be considered the surviving successor. If there was no spouse, then “any adult child of the decedent” would qualify. If the decedent was unmarried and had no adult children, then the “mother or father of the decedent” would be the surviving successor. A statement indemnifying and releasing the financial institution from any further legal liability associated with the account. If a person improperly claims to be a surviving successor, he or she would be personally liable under SB 892 to the estate of the decedent or the individuals who are the lawful beneficiary of the disputed funds. Need Advice on the Best Ways to Avoid Probate? It is important to note SB 892 is simply proposed legislation. The Florida Legislature will reconvene in January 2018 to consider Sen. García’s bill along with several hundred additional proposals for new laws. But if adopted, SB 892 would provide yet another useful estate administration tool for Florida residents and their families. 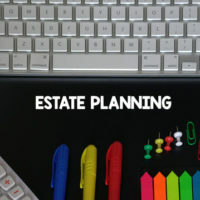 If you have questions about your own estate planning needs, including the most effective ways to minimize the need for probate, contact the Kuhn Law Firm today at 239-333-4529.